Put on your Disney thinking caps...it's time for a new Disney World trivia photo! 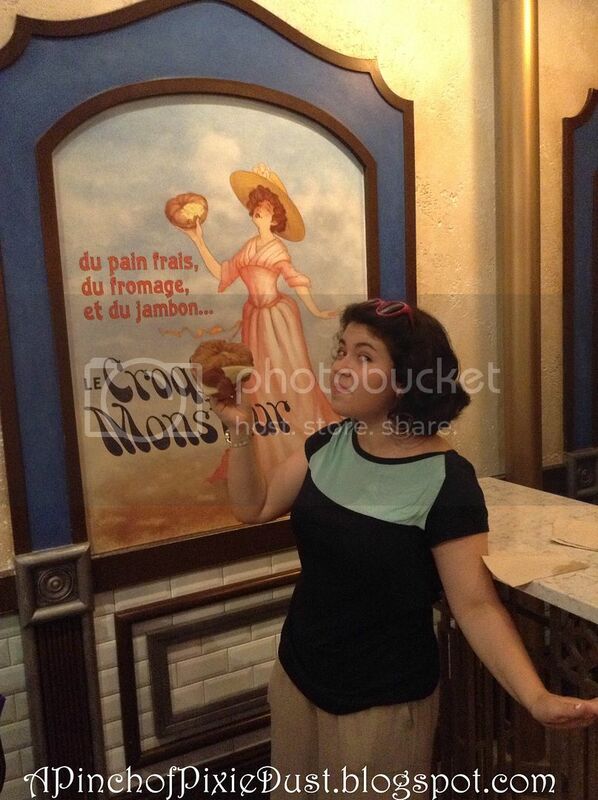 Where in WDW can you find this super cute sign for a croissant or croque monsieur? Here's a hint: you can pick up a croissant there for yourself too! Props to Rachel for guessing last week's trivia...that cave entrance is at the Animal Kingdom Lodge - it's outside on Arusha Rock, it leads up to the stairs! I'll meet you there in five! That sandwich has my name written all over it! I'll take a guess and say it's Les Halles Boulangerie Patisserie! France is the ONE country that I haven't explored because it's always crowded when we happen to pass by. I definitely need a trip in the cooler months when exploring World Showcase is much easier! It's got to be some where in France but I haven't checked out too many hidden spots in France.